 This blog is the third in a series referencing language and labels used by health professionals to describe intervertebral disc pathology as defined by a 1995 joint undertaking by representatives from the North American Spine Society, the American Society of Spine Radiology and the American Society of Neuroradiology. As a result of their efforts, a more uniform and widely accepted use of nomenclature to define intervertebral disc pathology was developed and published in "Nomenclature and Classification of Lumbar Disc Pathology". The first blog in the series dealt with "Bulges" v. "Herniations", "Symmetrical" and "Asymmetrical" disc bulges and "Broad-based" v. "Focal" herniations. The second blog addressed "Anular Tears and Fissures". This blog addresses the use of "Protrusion" and "Extrusion" to describe intervertebral disc herniations. 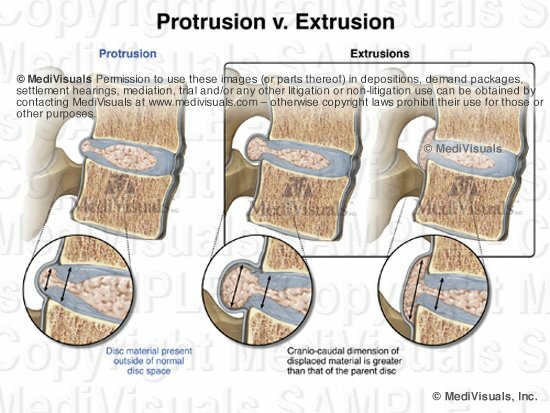 "Protrusion" and "Extrusion" are essentially used to further classify types of disc herniations. The term "Protrusion" refers to a disc herniation in which the portion of disc material that is outside the normal confines of the disc space is equal to or less than its aperture where the disc material extrudes from the parent disc. Examples of disc "Protrusions" and "Extrusions" are shown in the below images. The image to the left shows a disc "Protrusion". Note how the superior and inferior dimensions of the disc material that protrudes from its normal confines (highlighted by the arrow on the left) is not as great as the area where the protruding disc material actually exits its normal confines and boundaries (represented by the arrow on the right in the image). By comparison, the two illustrations to the right show two different disc "Extrusions". Note how the dimensions of the protruding disc material are greater than the point where it exits its normal confines. It is important to appreciate that disc "Protrusions" and "Extrusions" are terms that may be used to further describe "Broad-based" or "Focal" herniations. For example, the disc pathology referred to in the above illustration as a "Protrusion" could also be "Broad-Based," if it extends between 25 and 50% of the distance around the circumference of the vertebral body. Similarly, the disc pathology shown in the illustrations referred to as "Extrusions" could also be referred to as "Focal" if extending less than 25% of the distance around the circumference of the vertebral body (see blog from 08/24/11 for further clarification between "Broad-based" and "Focal" herniations).